With decades of experience in radio, John Marks has established himself as one of the most prominent tastemakers in the music industry. When he shifted from SiriusXM to Spotify in 2015, everybody wondered what was behind the big move. 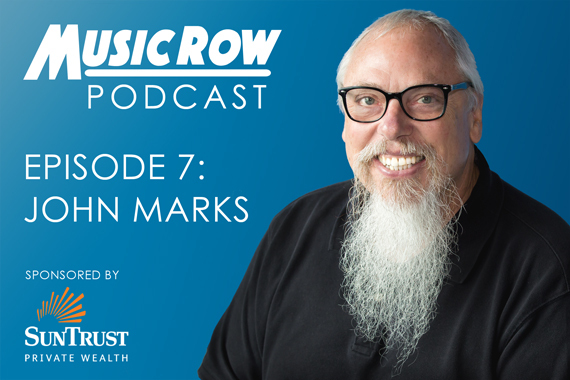 In this conversation with MusicRow Publisher/Owner Sherod Robertson, Marks explains why the career transition made sense. Now serving as Spotify’s Global Senior Editor/Music Programmer of Country, Marks also offers his insight about playlist curation, advice for new artists, and why streaming is here to stay. Sponsored by SunTrust Bank’s Sports & Entertainment Group, this episode of the MusicRow podcast is the seventh in a series. All of the MusicRow podcasts are available on iTunes.